«MY PRINCESS» is ready for the Team Femhøje middle distance OLR 2017 (yearlings). 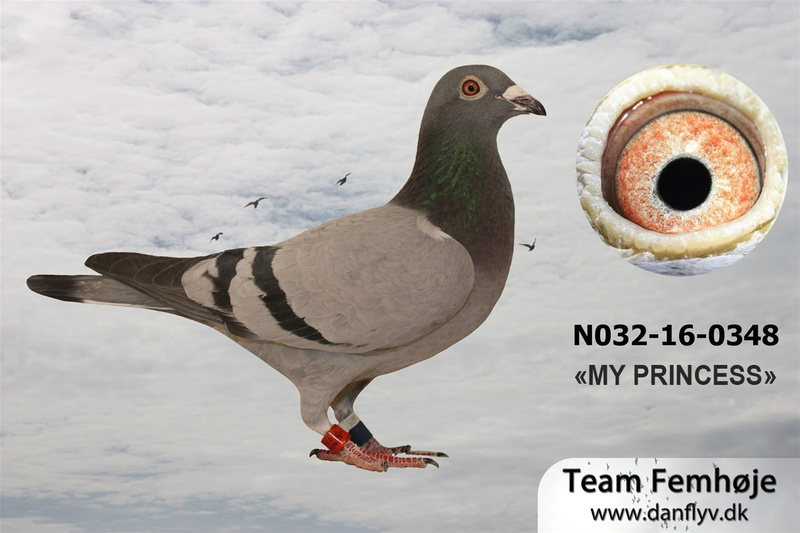 The OLR birds will be raced in the section 63 and compete in DDB middel distance at races between 375km to 500km. The distance for the young bird OLR FINAL is planned to increase and hopefully be a race between 400-450km. We are planning to participate with at least two young birds in 2017.